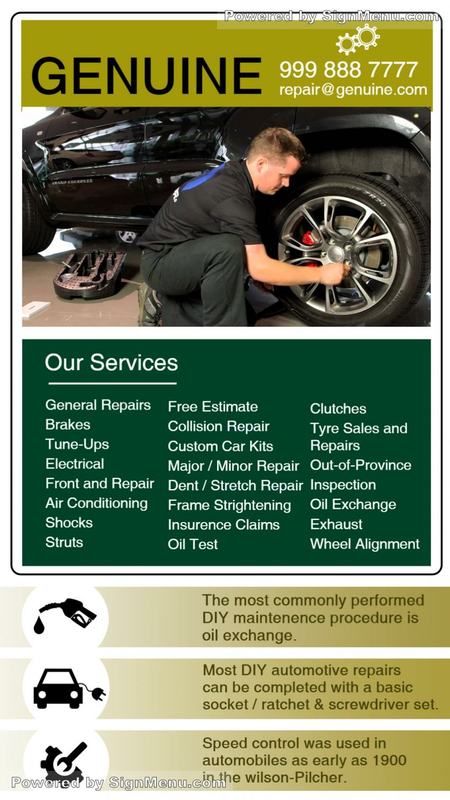 This template showcases the services of an automobile garage. Please note the bold colors and fonts depicting the services - suggesting trust and efficiency. This template is ready for download and use.